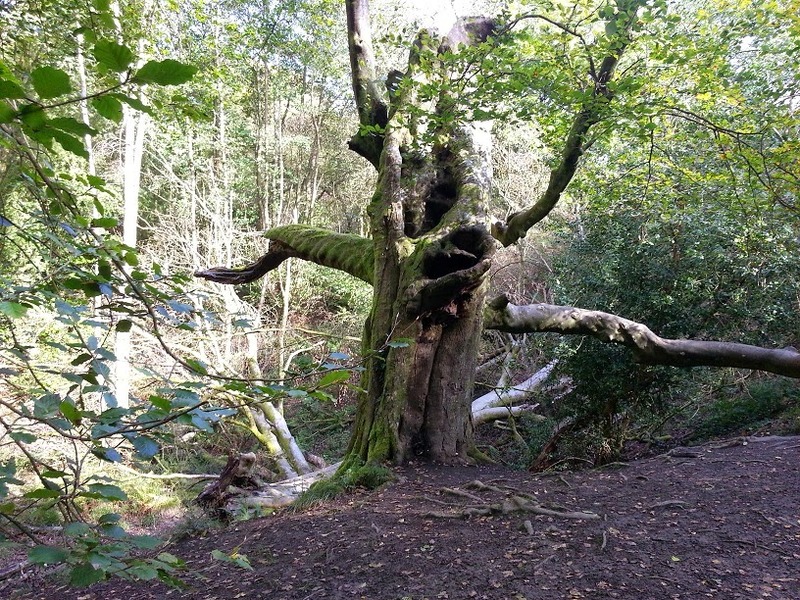 The Forest of Dean was reputedly an area that inspired a lot of the forests in The Lord of the Rings. And it certainly wasn't hard to spot a few tree people here and there. 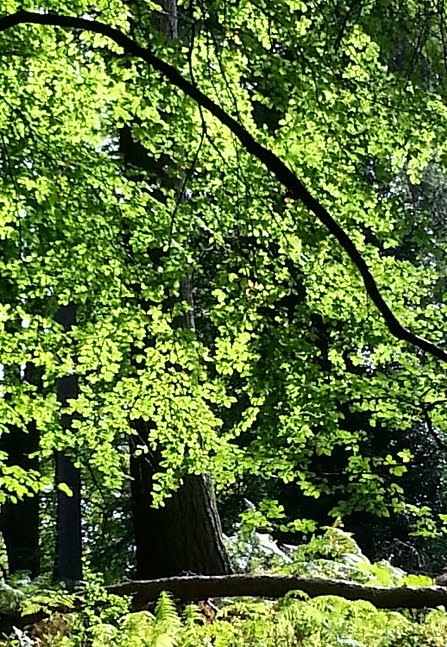 Our first walk here was at a sculpture trail, where a forest walk has been interspersed with various sculptures (and the funniest, most earnest arty descriptions of them in the map guide we were following). 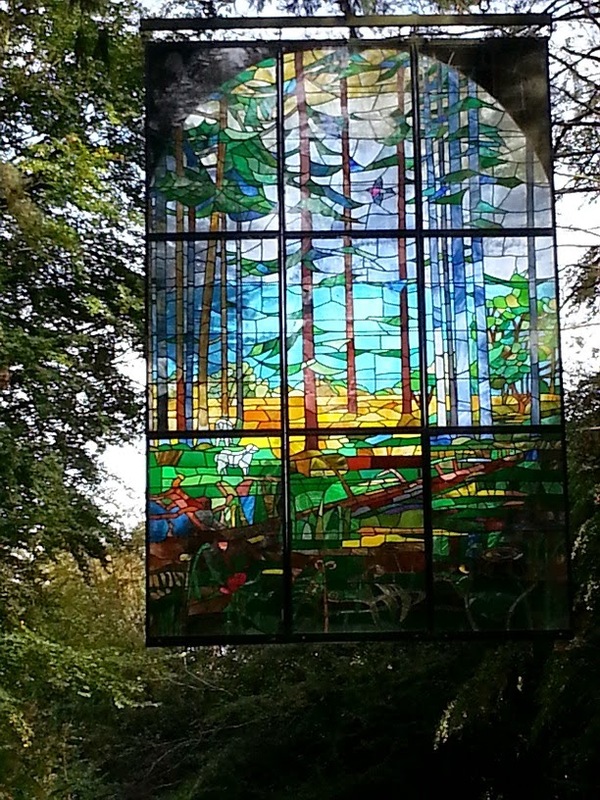 The most spectacular was definitely a stained glass window suspended above the path. 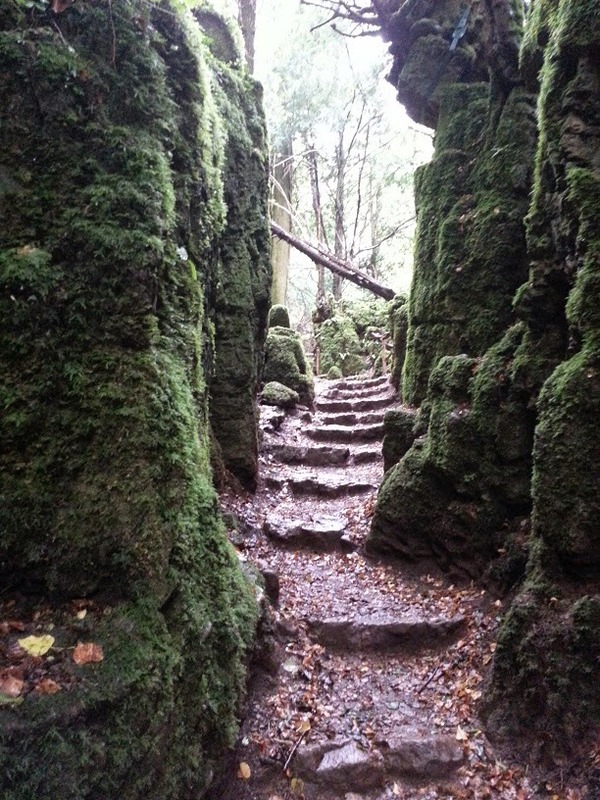 We also visited Puzzlewood, apparently a favourite filming spot for movies and tv shows (we just missed the filming of the latest Star Wars, apparently). An excessively mossy locale. 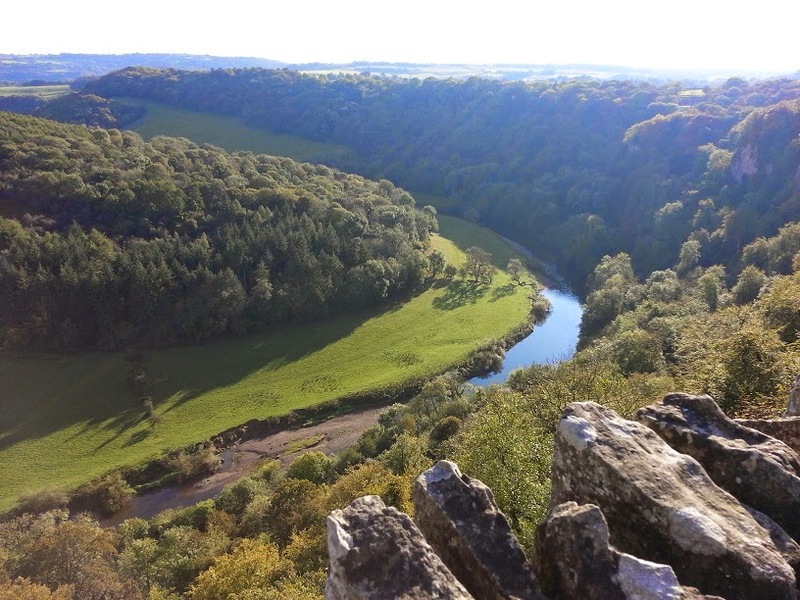 The longest walk we did (and probably the longest walk we will do) was from Symonds Yat Rock, down across the River Wye, and back around. 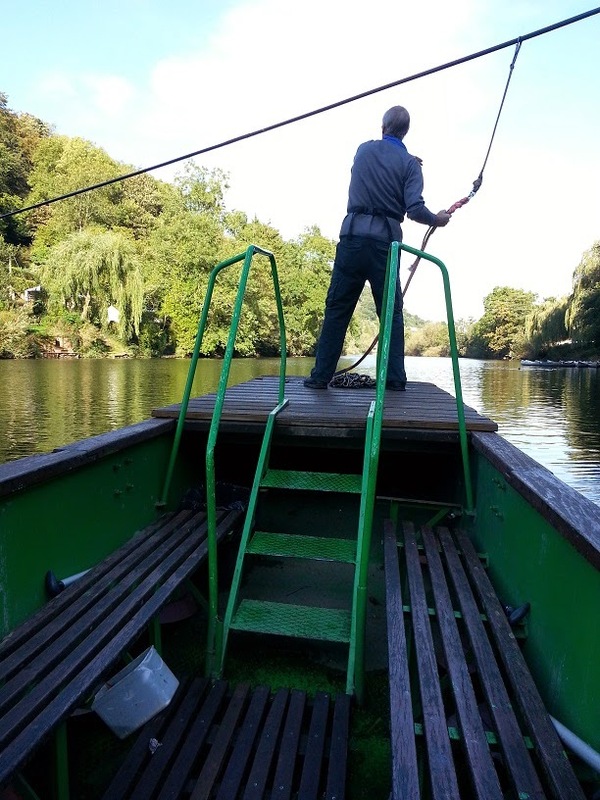 This took four hours (my poor, sore feet), but with time out for an interesting ferry crossing (the ferryman hauls the ferry across by looping along the chain). After all this walking we changed things up a little by taking a train to Bath. Research! I wanted to see the Roman Bath House there (even though I've, ah, blown it up in my alt world). 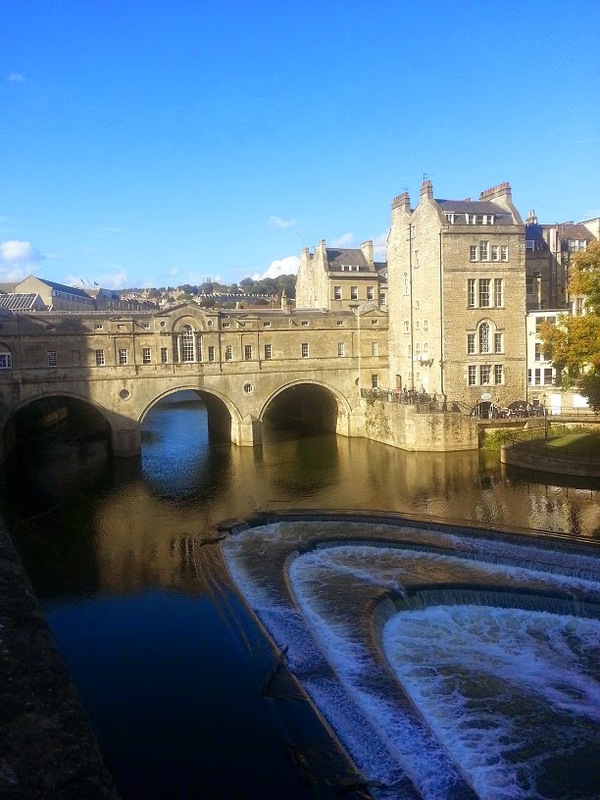 Bath is very pretty and sandstoney and fortunately we lucked out on another sunny day. Bath was called Aqua Sulis by the Romans, after the sacred hot spring to Sulis located here, and Sulis is the primary god-in-charge in Prytennia. I've linked her to the Suleviae (who are, probably, a separate trifold set of goddesses, not centred around Bath). 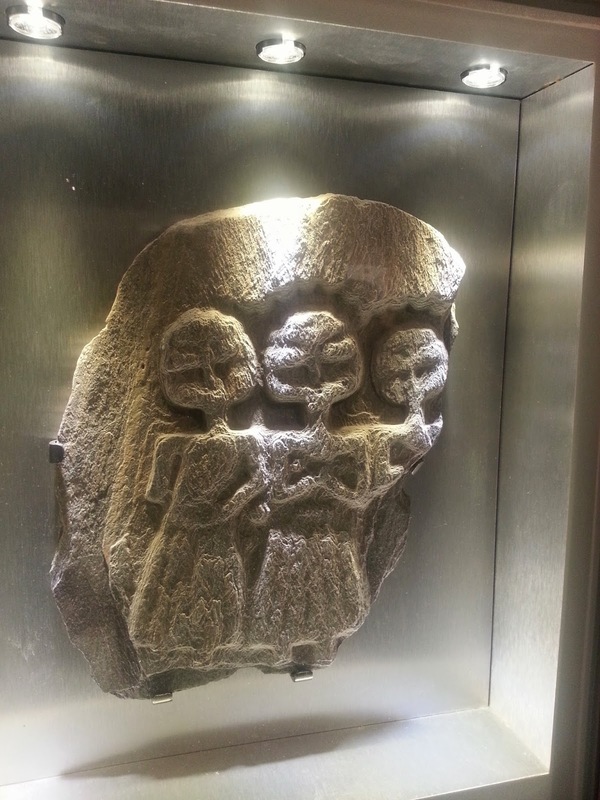 Bath does have a trifold goddess depiction, but this is known as "The Mothers" (because, yeah, a picture of women and it's either going to be 'maiden, mother, crone' or all about babies). I'm quite happy to co-opt this as a depiction of the Suleviae, who are a little more...combat oriented. Ooh. We liked Bath and Northern Wales. Lots of castles in the latter. Yeah, Wales seems to have castles on its castles.